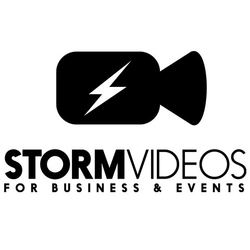 Storm Videos offer high end video production services for businesses and events. The production process is covered from concept to finished product. Videos are currently are very popular and powerful marketing tool among businesses, to help expand their audience. Storm Videos makes sure that the quality of their work always matches the brand of the client they work for. I believe that the best sales professionals suited to this job do not necessarily have to have a background in the sales of video production but in Marketing (Digital, Sales and SEO). This is because Video Production is an extremely popular trend in Online Marketing at the moment. Most companies now know that they need a video on their website or social media to expand their audience. Video is also an extremely powerful way to connect with audiences.